Hi friends! This is Virginia from Yes, Virginia …blog. 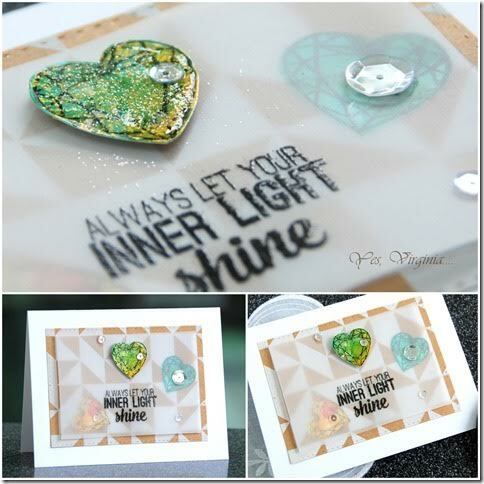 I have the pleasure to share some stamping fun with you. You see, a girl can never have too many diamonds, right? Well, I have not one, but TWO diamond cards created with the ton stamps today. Whether you a fan of alcohol inks, this post will make you want to reach out to these vibrant inks and create! 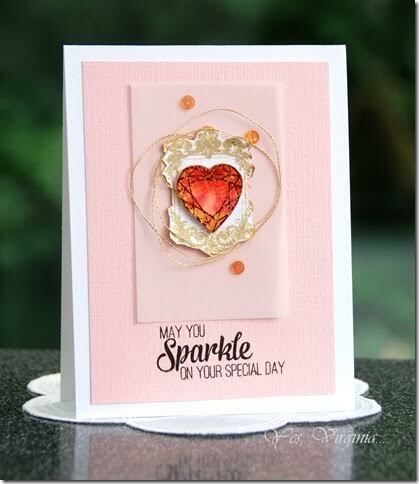 For my first card, I purposely used vellum to cover up some of the diamonds that I created. I did leave one diamond in the spotlight. The sentiment is spot on that way, don’t you think? This Heart Diamonds set has so many gorgeous images. If you don’t have any diamond sets, you should totally consider this one! As for the diamonds, I created a few of them with Alcohol Inks, Blending Solution on glossy paper. Then I stamped and cut them out. The gold shine that you see are from Delicata Gold ink. As for the glossy glitter? They are Martha Stewart’s glitter and Glossy Accent! And that’s it! 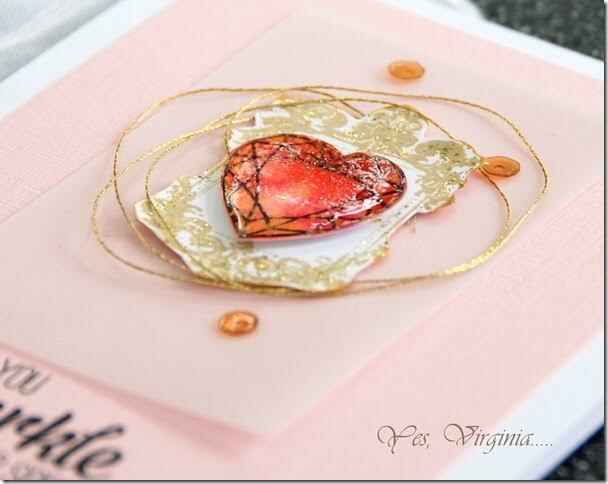 My 2nd card is similar, but I did the frame with gold embossing powder. This Vintage Frame offers endless possibilities. You can create Shabby Chic, Vintage, Graphic or just Clean and Simple. I kept the color scheme simple and feminine. The layering is the key in this design. Bits and pieces do go a long way. 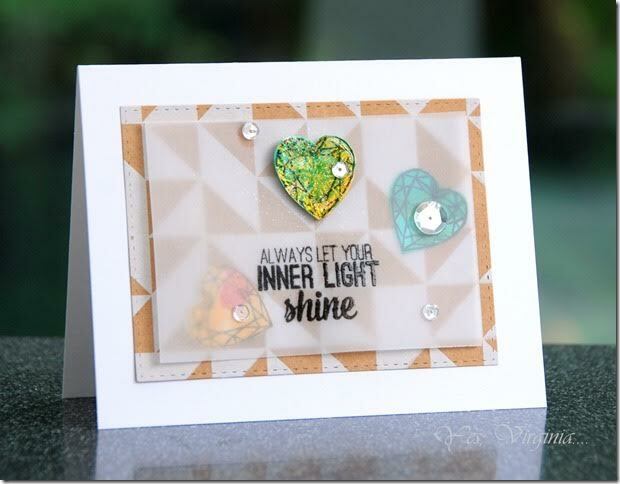 Some of the best stamping supplies are the good old staples- embossing powder, Stickles, Glossy Accent and vellum. I love looping gold threads around the diamond to make the design POP. I hope these two projects inspire you to reach for something colorful and bright! Remember to have FUN! Thanks for having me here! These are so pretty, love the beautiful heart gems! Once again, Virginia spreads her considerable talent over us to enjoy. Both these cards are gorgeous.